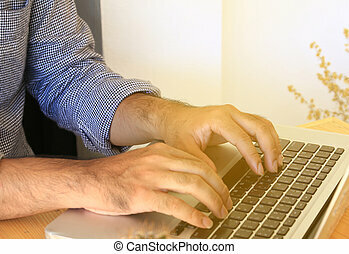 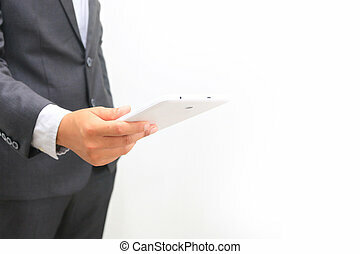 Businessman working with digital tablet. 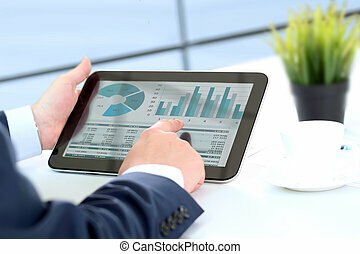 Businessman working with digital tablet and business graph interface on screen. 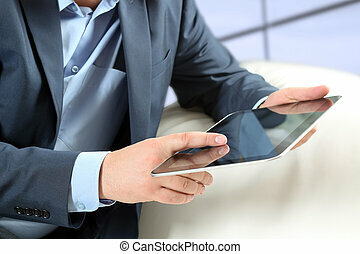 Businessman working with tablet and virtual screen interface. 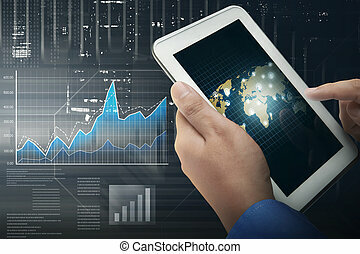 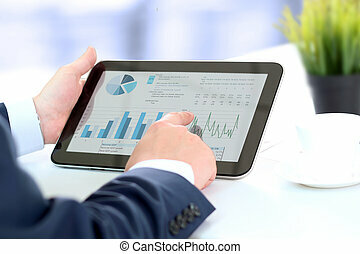 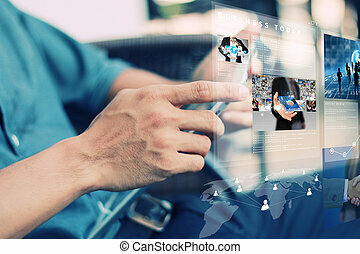 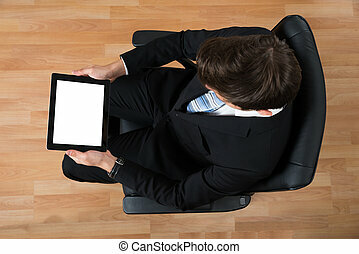 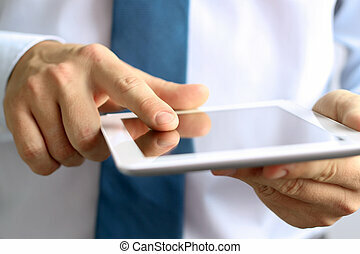 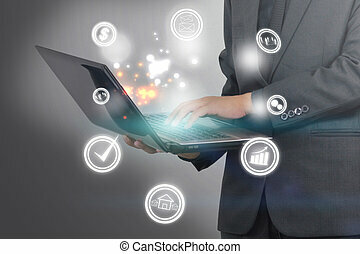 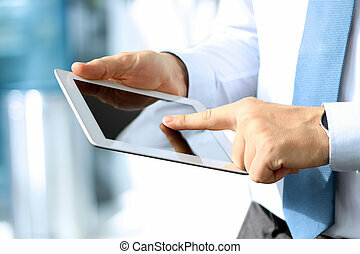 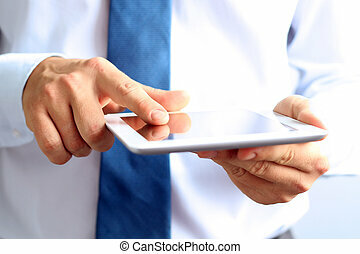 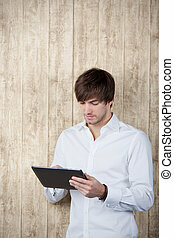 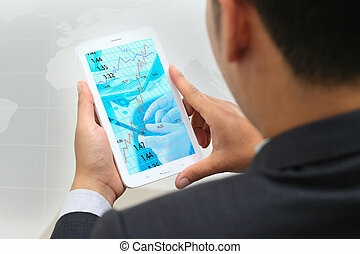 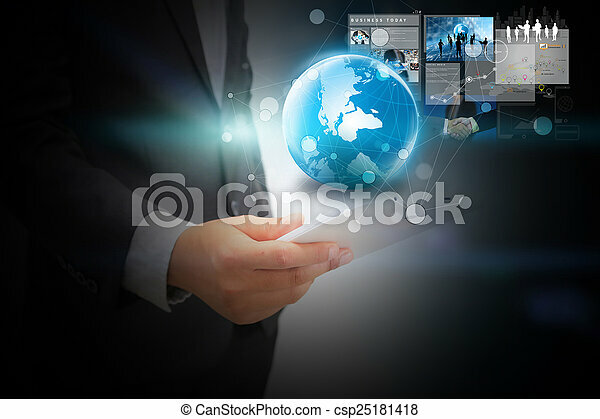 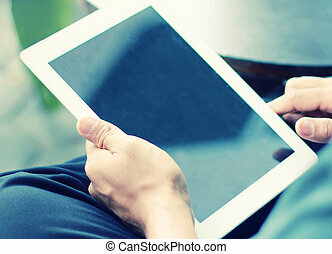 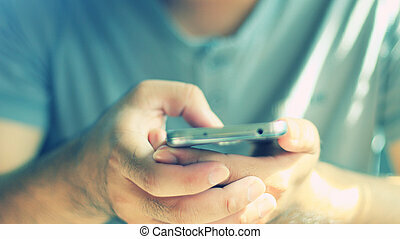 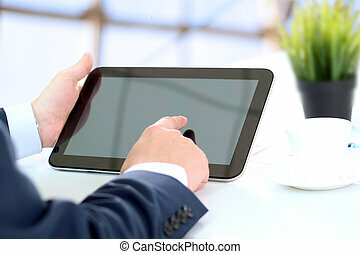 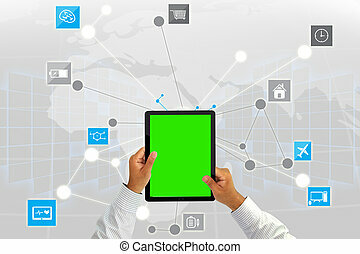 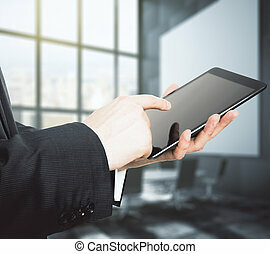 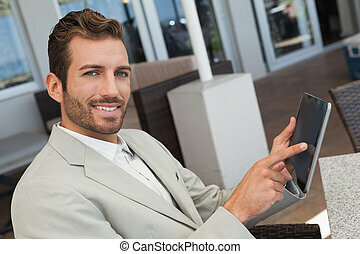 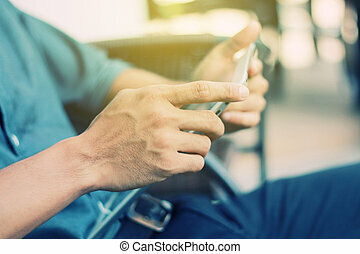 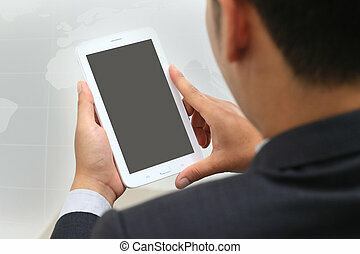 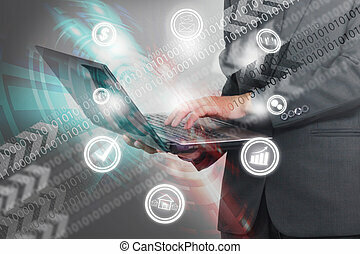 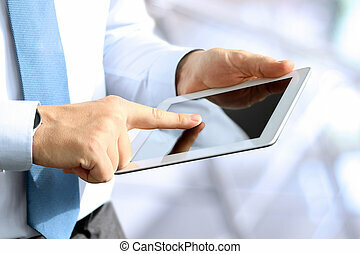 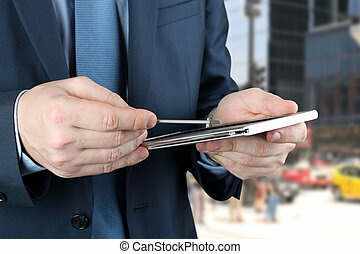 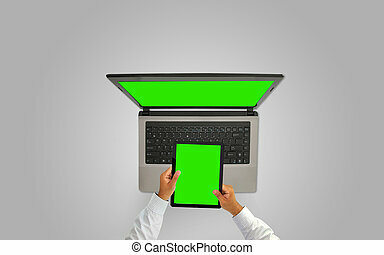 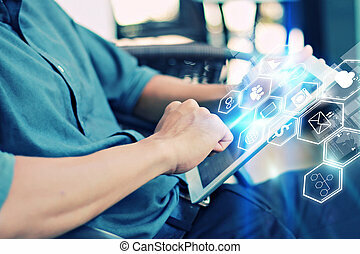 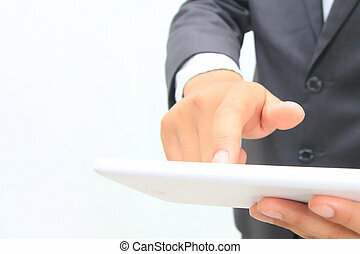 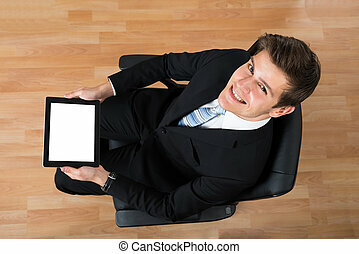 Businessman holding digital tablet with icons globalization business.